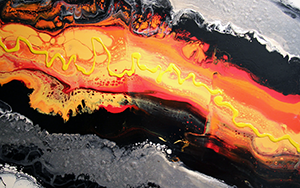 Abstraction in painting gives form to the artist's emotional state, to hidden impulses, to new creative pathways. You will delve into your own untapped creative processes by experimenting with color, texture, and composition in acrylic paint. All art supplies provided with a $30 materials fee payable to your instructor on the first day of class.